Does your business deal with egg production or egg product processing? Do you use eggs as ingredients? We have the analysis system to run quality controls on eggs and egg products that is most appropriate for your business. It is CDR FoodLab®: the analysis system for eggs and egg products that simplifies and accelerates traditional quality control procedures. Sample preparation only takes 5 minutes and just a few minutes more for the test. It can be used on the production line, or upon sale/purchase of the product other than in a laboratory. Solution for egg products quality control was last modified: May 2nd, 2017 by CDR s.r.l. The CDR FoodLab® system to test eggs and egg products can be configured to perform analyses on any type of vegetable and animal fats and oils, milk and dairy products, tomato and tomato derivatives. CDR FoodLab® is an accurate, reliable and easy to use analytical system, which does not require any calibration, technical support or maintenance procedure. With CDR FoodLab®, it is possible to constantly monitor the production process, obtaining exact and accurate results in just a few minutes. 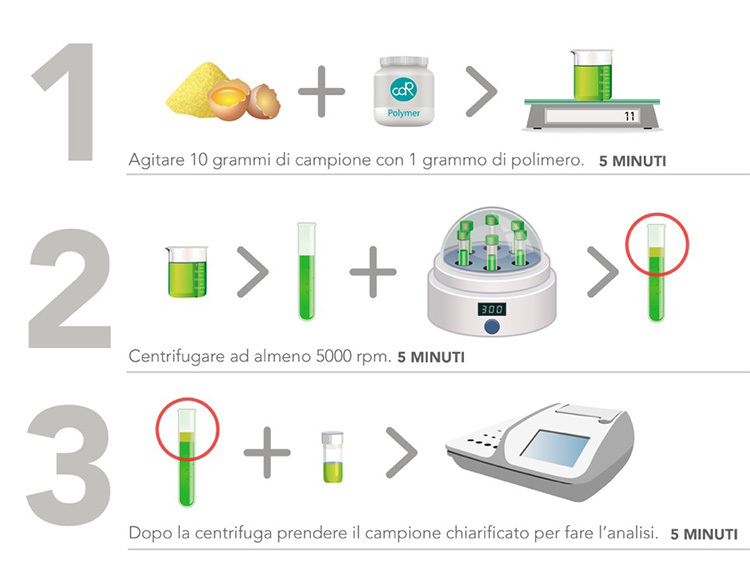 With the CDR FoodLab® system, sample preparation only takes 5 minutes and the analytical procedures fined tuned by the research laboratories of CDR for the specific application are easy to follow and fast. 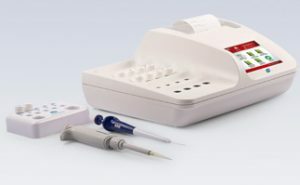 The analyzer can test up to 16 samples at one time and the Multitasking Mode allows to manage the determinations of several analytical parameters at the same time. It allows the system to process one analysis and to start another one at the same time, with the possibility to go back to the first one at any moment. CDR FoodLab® is a true analysis laboratory. We have developed it to perform easy and fast quality controls at any and each phase of the process, from egg production to processing into egg products, besides any and each processing phase of food industries that use eggs as ingredients.